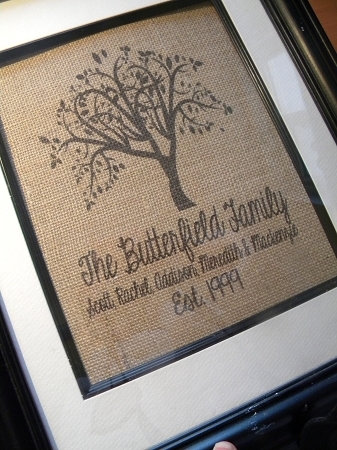 All of our burlap prints are 8.5 x 11. Perfect for framed openings of 8x10. Our tree prints are available with the names either in the tree or below. Your choice!